One of the many question marks the official Opel/Vauxhall and PSA Group sale deal raises is where General Motors’ Australian subsidiary, Holden, is left in the aftermath. Holden has had its manufacturing arm shut down after years of operation, and in the process, GM had crafted a plan to tie the Australian brand closer than ever to Opel. Even Holden’s hometown hero, the Commodore, will effectively become a rebadged 2018 Opel Insignia Grand Sport early next year. But now, Opel is officially out of the GM family, and its French owners at PSA Group will take the reins. Holden has released a statement regarding the sale, which says the current Opel-Holden programs will not be affected in the short term. 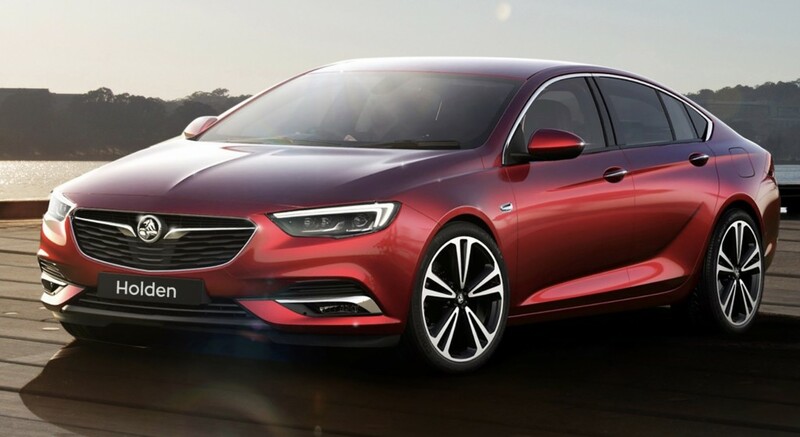 Holden and Opel have had close ties for many years and delivered fantastic vehicles to Australian customers, including the current all-new Astra and the next-generation Commodore due in 2018. The good news is these product programs are not affected at all. We will continue to work closely with Opel and GM to deliver our vehicle plans with excellence and precision. This includes future, new right-hand-drive SUVs like the Equinox and Acadia that were engineered specifically for right-hand drive markets. In the sale agreement, GM confirmed “existing supply agreements” for Holden; ditto for Buick products that originate from Opel. We reached out to Holden for further comment on the matter and no additional details were known surrounding Holden at this time. However, the recent pivot to GMC and Chevrolet products as future Holden vehicles may be an early sign of a strategy change inside Holden. Following the Astra and 2018 NG Commodore, Holden had not revealed any additional Opel-sourced vehicles. Instead, the 2018 Chevrolet Equinox, 2017 Chevrolet Cruze and 2017 GMC Acadia will all make their way down under with a Holden badge. Holden has reiterated the brand plans to introduce 24 new vehicles, sourced from any GM brand save for Cadillac, by the year 2020 and will officially close its Australian production facilities this October. If this Opel Holden goes for the same 11 years that the VE/VF Commodore went on, then the $2.3bill would have been payed back twice over. Is GM literally paying PSA to take Opel away from it? Using Holden as the back door and Commodore royalties as the brown bag? PSA sees value in Opel , GM did not. GM used Opel to crank out cars it didn’t want to bother with and rebadged them as Pontiacs, Buicks, and Saturns. Later GM really showed how it valued by trying to sell Chevy’s in Europe to compete with Opel. Maybe PSA should buy Holden too and gain an Asian site. 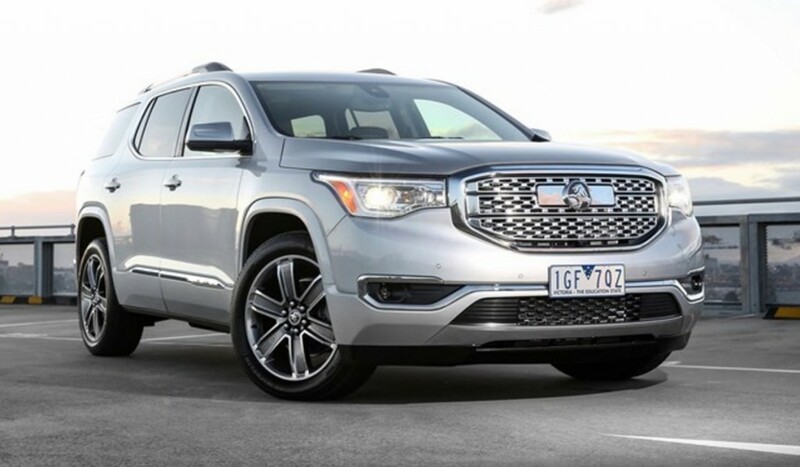 Wow… that Acadia rebadge job; exactly which beancounter shorted the budget by how much? They couldn’t even make a whole grille, they had to make an _insert_ with a chrome rectangle to go where the GMC lettering was? The Acadia is not a rebadge of any other Holden product; so how can it be a rebadge? Australian consumers don’t care nor pay attention to what is sold in the U.S. and Canada. I hear what Holden and GM have said about the Opel/Vauxhall sale to PSA but I wonder if the Australian car buying public will tolerate a French Commadore. Holden refuse to listen to the many crystal of foul play by continuing to use the Commadore name and now will this be the nail in the coffin. In my opinion Holden as a brand will not survive as much as the Holden/GM head dispute the fact, what is to stop GM selling off Holden as the Have with Opel. Holden will be more aligned with Chevrolet now! Which by the looks of things, is not a good thing! Chevrolets are ugly, and are a far cry from the European sourced cars that Holden wanted to sell before the sale of Opel!